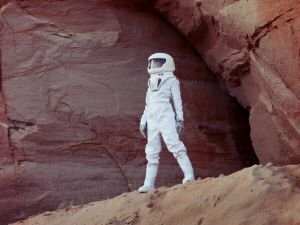 Women will participate alongside men in the prepared flight to Mars and it's likely that the first person to step on the Red Planet will be a woman. Latest publications as well as themes about Landing on Mars. Find out about stories, mysteries as well as useful advice on Landing on Mars. Read the latest write ups along with articles about Landing on Mars. Most experts from NASA suggest that the 1st human foot should step on the icy region of Deuteronilus Mensae, located not far from the plane where the plot of The Martian movie takes place. The first astronauts will be sent to the Red Planet during 2030 and it is expected that they will land on it by 2035. To do this, NASA has begun collaboration with a number of countries.